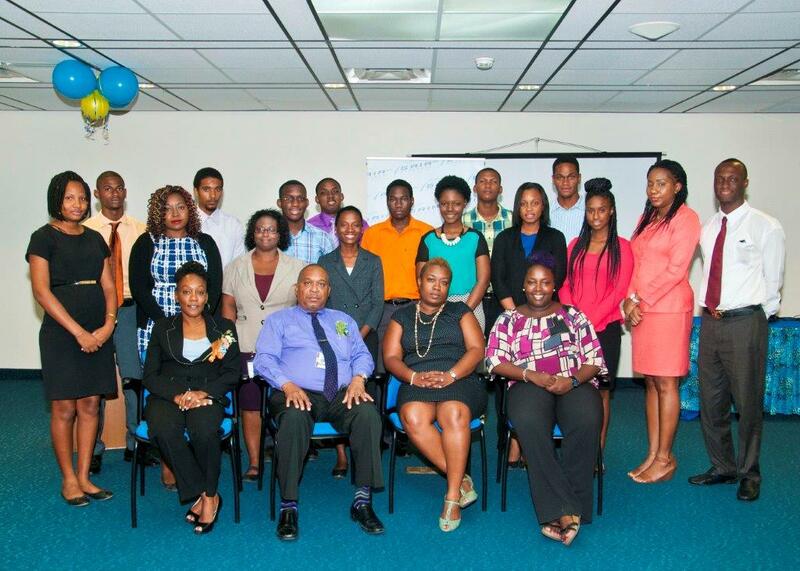 Bridgetown, Barbados – After 12 weeks on the job, 22 young people completed their summer internship with the Grantley Adams International Airport Inc. on Friday, August 21st. The students were selected from a pool of approximately 63 applications from the Samuel Jackman Prescod Polytechnic, Barbados Community College, the University of the West Indies and the Barbados Youth Service. During the closing ceremony for the annual programme last Friday, interns Ebony Wilson and Calmero Edwards described the experience as positive and life changing as they spoke on behalf of her colleagues. Addressing the topic, “how did GAIA Inc measure up”, Ms. Wilson told the audience that it was very difficult for her to express in words, her wonderful experience as an intern at GAIA Inc.
Mr. Edwards in his remarks said he embraced the opportunity to work at the airport with gracious enthusiasm adding that GAIA Inc did measure up to his expectations. The internship programme now in its tenth year, has seen 183 students participating in the programme who were assigned to the Engineering, Operations, Human Resources and Administrative departments. Earlier this year, two students from the Vocational Training Board were also offered placements in the Engineering Department. PIX: Interns from GAIA Inc 2015 programme pose for an official photograph with their Tutors.